Whats good about Cockapoos? Are they the right Dog for you? 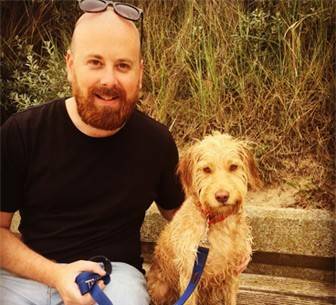 Blog > FAQ > Cockapoo’s – What’s Good About Them? Dogs are very popular choices of pets in the UK. Interestingly, there is a breed that is thought to be more popular than purebred German Shepherds, English Bulldogs and even Golden Retrievers and Labradors. That breed is the very fun and exceptionally friendly Cockapoo. This shouldn’t really be surprising as hybrids, or cross breeds, have been growing steadily in popularity since the 50’s. The name of this mixed breed is a portmanteau of the parent breed names Cocker Spaniel and Poodle. As with any mixed breed, the idea behind this mix is to get the best aspects of both breeds. The resulting animal is a friendly ball of fun that is very friendly. If you have been looking at your options with regards to a new dog, or perhaps you are a first-time owner, cockapoos are definitely one to consider. To help you appreciate why they are a great choice, we have put together a guide to what we at CockapooHQ feel makes them so special. As we’ve already hinted, the goal of any crossbreeding is to get the best aspects, including personality and physical traits, of two unique breeds. Poodles and Cocker Spaniels actually share a number of physical and personality traits, making them an ideal mix. Resulting Cockapoo puppies share the friendly and outgoing nature of their parents, with the high intelligence level spaniels and poodles are famous for. There are some breeders and other people that would have you believe that Cockapoos are completely hypoallergenic. While it is true, they can be a great choice for allergy sufferers who still want to own a dog, it is worth noting that no animal is entirely hypoallergenic. Cockapoos do shed their fur less than others. A further benefit of the fact they shed less is that Cockapoos are often almost completely odourless. So, if you are worried about welcoming a four-legged canine friend to your home, but don’t want to deal with ‘dog smell’, a Cockapoo might be the ideal choice. Due to Cockapoos coming from Cocker Spaniels and Poodles, two breeds known for their intelligence, the resulting hybrid shares this trait. They are therefore incredibly eager to learn new tricks and a lot of fun to train. You will find that they pick up the basic commands like sit, stay and paw with relative ease. If you have children, this eagerness to learn means you can get your little ones, and everyone else in your household for that matter, involved in the training of your new family member. You will find that some breeds of dog require a whole lot of stimulation and exercise. Many even need to have a fully scheduled routine that you have to stick to almost religiously. Cockapoos, however, are not like that. Although they are very boisterous and should be taken out at least twice daily, they don’t need the same level as other breeds for their well-being and health. This makes them a great choice for families and other owners who are busy during the week with school and work commitments, as they can be left on their own for short bouts of time. Although the above is very true, it should be noted that cockapoos are not in the least bit lazy. They enjoy playing and having fun. As they are very sociable, you will find that they get on with most people and even other dogs and pets too. Cockapoos are flexible with their approach to play though. As long as you give them attention and lots of love, they will participate and get a lot from as much or as little fun as games as you want. A cockapoo is just as happy to sit on your lap or by your feet as they are cashing a ball or toy around outside. Just in case you have not really grasped it yet, it’s worth noting that cockapoos have a very friendly disposition. Imagine looking long and hard for that pet of your dreams, thinking you’ve found it only to find it doesn’t get on with either your children, partner or other animals in the house. There is a very limited, some would say non-existent, chance that this would happen with cockapoos. They just love attention and being loved too much. Hybrid dogs do not tend to get much taller than their parent breeds. 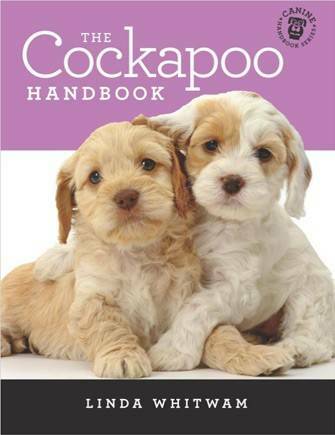 Therefore, you will find that cockapoos are not much bigger than cocker spaniels or poodles. As they are relatively small, they can live in a wider variety of different locations than other breeds. So, whether you have a rurally located home or live in a big city, you can still own a cockapoo and can even take them for bus rides and train journeys, when necessary or for fun. Obviously, if you are thinking about investing in a dog, you want to be sure you are not taking on more than you can handle. Some breeds are prone to specific health conditions and related issues. However, the good news about cockapoos, like a lot of crossbreeds, is that they are actually less prone to medical problems. It’s surprising that we have got this far without saying what everyone who has ever seen a picture of a cockapoo thinks – they are insanely cute and adorable. While it is true you shouldn’t base your decision on which dog is best for you on looks alone, it will obviously be a factor. No-one really wants to have an animal in their home, particularly not a dog, that is unattractive. Cross breed dogs in general, compared to purebreds, have longer lifespans. So, it makes sense that a Cockapoo, with the best living conditions, a balanced and nutritious diet and proper medical care, will live for around 12 to 15 years. This means that you are unlikely to face the tragedy of welcoming your new friend, seeing them become an integral part of your family only for them to die within a short number of years. Why Do Cockapoos do the Doodle Dash? Do I Get a Male or Female?